2.7 million — that is the approximate number of students who were suspended from their school environments on one or more occasions during the 2015-2016 school year, according to the new Civil Rights Data Collection survey. As education leaders and policymakers grapple with the implications behind the data, one thing is clear: Black and Latino students as well as students with disabilities are being suspended at a troubling, disproportionate rate compared to their White peers. And continuing such discriminatory practices ultimately contributes to the persistent opportunity gaps we see today. 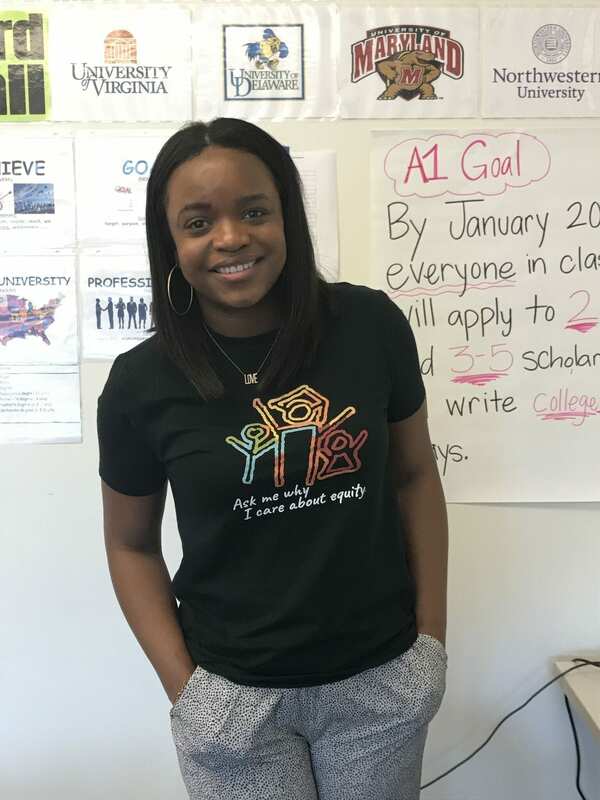 To further explore the challenges and opportunities within school discipline practices, we sat down with Brittany Packnett, educator, activist, and co-chair of Ed Trust Influencers. Do you think school suspensions should be outlawed? Brittany Packnett: I think there are questions we have to ask ourselves before we get to wondering whether or not school suspension is an appropriate outlet. We have to ask ourselves, especially in the aggregate, what purpose do suspensions serve? If they are about adults maintaining a certain perception of control, then we have to ask ourselves why control or order is of more importance, in some cases, than learning. And why there’s a higher priority placed on it. People will argue that it’s about the safety of students. For me, that begs the question of whether or not there are other things that can keep students safe. Or are we assuming that simply punishing one child will lead to safety for all students? So, I land in a place where I actually think that we should be spending more time on all of the many creative ways that we can be better engaging our students. Doing more to help them make strong choices, engaging in restorative justice. That we can be more creatively creating safe environments in partnerships with families and the surrounding community. And how we can ensure that young people are doing more than being made to be compliant, but are really made to be affirmed, and engaged, and enriched during the school day. There’s been differing opinions on whether the racial disparities shown in school discipline data are connected to the school-to-prison pipeline. Do you see a connection within that? BP: I absolutely see a connection. I think when people often don’t want to admit to a connection they’re really admitting they don’t want to do anything about the connection. They don’t want to do anything about actually shifting discipline practices and helping to create school cultures that don’t need to rely on punitive engagement with students in order to actually improve the student experience and diminish the school-to-prison pipeline. There are a lot of people involved in creating the school-to-prison pipeline and there are a lot of people who are benefiting from it. When I think about the fact that education achievement statistics are sometimes used to predict the amount of space that would be needed in a prison, private or public, that requires business people and heads of corporations to make different choices about how they’re trying to fund themselves and see their industry. All of those people, and more, are going to have to step up if we are going to see the end of this. As districts and schools rethink their discipline practices, what do you think are some things leaders should be cautious of? What would you like to see done? BP: I want to see school and district leaders pursuing a culture change that would help us see suspensions as a last resort and, eventually, not even a choice at all. I would like to see school and district leaders take the time to learn from schools, whether they are traditional or charter, who has figured out how to do this and do this well, because they do exist. We have to pay attention to them though. I would like to see district and school leaders leverage the connections and the access that they have to policymakers at their state departments of education and their state legislature, at the federal level, to work together and bring an end to this from every angle necessary. I also think that there is an opportunity to be thinking about how teachers themselves are the ones leading this change work. It can be our teachers who are actually helping to design the new protocol. Helping to train other teachers on the new protocol. Helping to adjust new discipline practices, as the school gets more used to them. It doesn’t always have to be someone with a certain title to actually accomplish this work. Teachers are leaders in their classrooms every day. We should absolutely be entrusting them with this kind of change management.